Moving to Minneapolis has a lot to offer like Ice Fishing, The Mall of America, and Juicy Lucy. If you’re a fan of coffee, want to be near a thriving tech scene, and don’t mind some extremely cold temperatures, you should think about moving to Minneapolis. Minneapolis has surpassed its Twin City, St Paul, in both size and urbanization. The city has become an extremely popular spot for businesses and young professionals who want all the features of a large city, while still offering that Midwestern heart and charm. 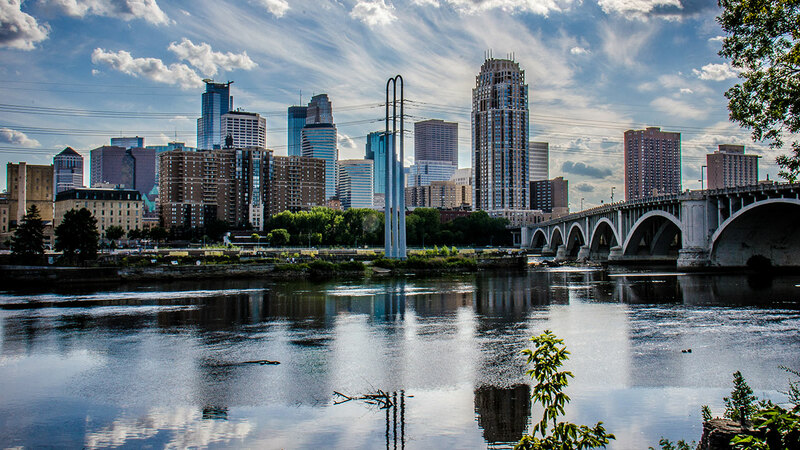 Moving to a city the size of Minneapolis can be a daunting task. Fortunately, this guide is jam-packed with every last bit of important information you’ll need to get everything taken care of. 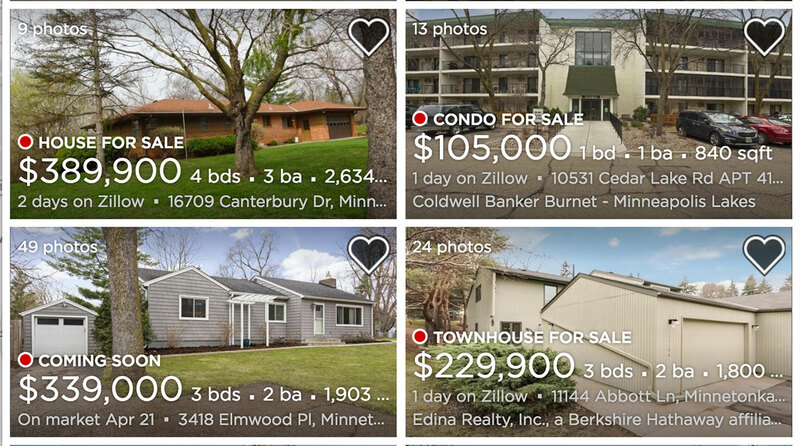 Which Minneapolis neighborhoods are most affordable? 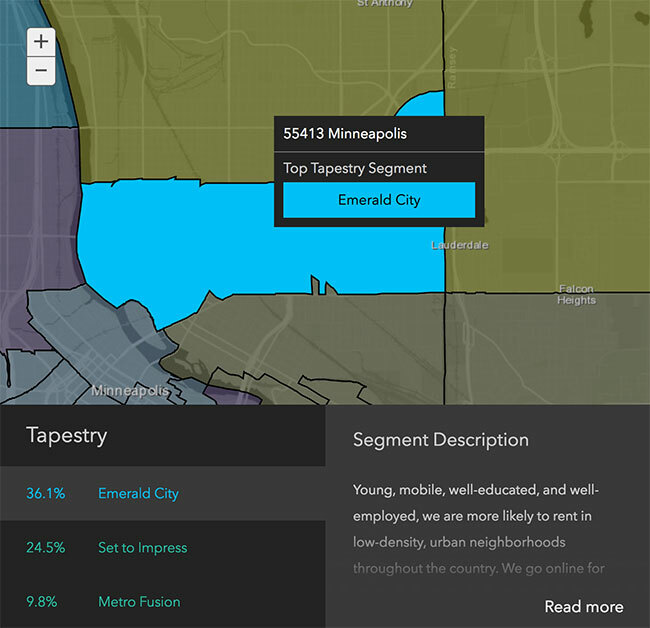 Which neighborhood in Minneapolis is the best fit for me? How long is the commute in Minneapolis? How’s the walkability, bikeability, and public transportation in Minneapolis? 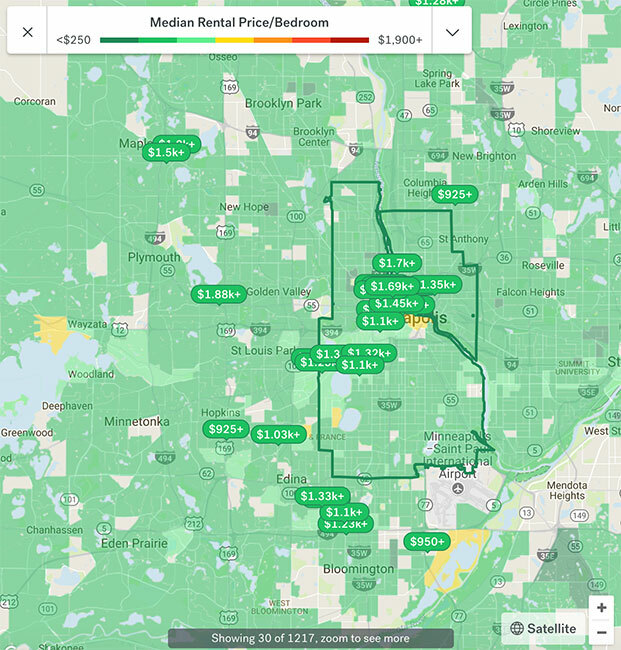 Where can I find apartments and houses in Minneapolis? How much will it cost to move to Minneapolis? Don’t forget, all of these things need updating! What’s fun to do in Minneapolis? And if you’re looking for more info on moving to Minneapolis, check out our Minneapolis move cost guide. Minneapolis’s population of 413,651 has it ranking as the 46th most populous city in the US. The average 1-bedroom rent in Minneapolis as of early 2018 is $1,651. The cost of living in Minneapolis is high enough for it to rank as the 15th most expensive city in the country. Before getting too deep into things, check out this video of aerial footage exploring Minneapolis’s unique architecture and vibe. Minneapolis is large and has quite a few neighborhoods but here’s roughly how the city is carved up. Downtown is aligned diagonally with the Mississippi River. Every other part of the city is defined by its location in relation to Downtown. South Minneapolis is located south of Downtown, with the region of Southwest Minneapolis making up its core. Meanwhile, you’ll find North Minneapolis and Southwest Minneapolis on their respective sides of the river. Every region has a plethora of neighborhoods each with their own vibe and cost of living. Let’s look at some rent pricing across the city. Many of the high-priced rental areas are densely clustered around the center of the city. Those on a tighter budget should be able to find places with average rents between $850 to $1,100 in neighborhoods like Lyndale, Elliot Park, Hawthorne, and Ventura Village. Neighborhoods such as Lowry Hill, West Calhoun, University District, and Cedar-Riverside fall more in the middle, with average rents around $1,200 to $1,550 per month. And the pricier, more upscale areas like Loring Park, Downtown, the North Loop, and East Calhoun will run you between $1,600 to $2,250 average rent. Before you go jumping to places where you can afford, let’s make sure the neighborhood suites your lifestyle. Where in Minneapolis are people like me living? Everyone wants to feel like they’re a part of their chosen community, but deciding which one to choose can be the trick. Fortunately, Esri’s Zip Tapestry tool makes things a bit easier. To demonstrate, if we were to enter the zip code for Logan Park (55413), we’ll see a list of the three most prominent demographic subsections in the area. It’s as simple as that! On top of fitting in with your neighbors, you should also make sure you’re reasonably close to work. Minneapolis is a pretty great place if you don’t want to own a car but driving is still the most popular way to get around due to harsh winters and the sheer size of the city. According to the most recent Minneapolis census data, 96.5% of Minneapolis workers drive to work. Also included in the census data, most people leave for work between 6:30 and 8:30 am and spend roughly 10 – 24 minutes in transit. Minneapolis also has the highest car insurance rates in the state. So if you don’t want to drive, there are plenty of other great options for getting around the city. 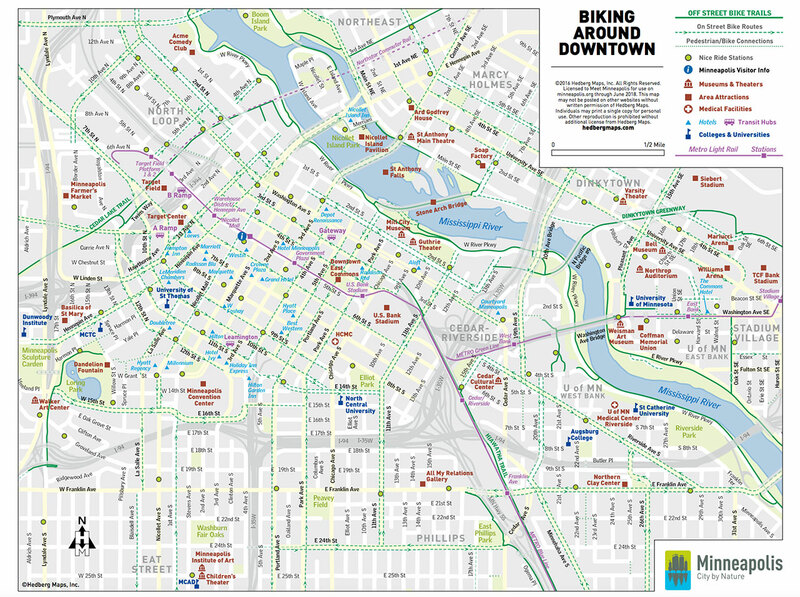 Minneapolis is super walkable, has above-average public transit, and is very bikeable. With a walk score of 68, Minneapolis is a walkers dream. In fact, a whopping 10% of Minneapolis residents walk or bike to work. The only real impediment to walking around the city is the harsh Minnesota winters. But you can easily circumvent Old Man Winter by using Minneapolis’s Downtown Skyway system. Minneapolis also has decent public transportation, reflected by its above-average 58 public transit score. 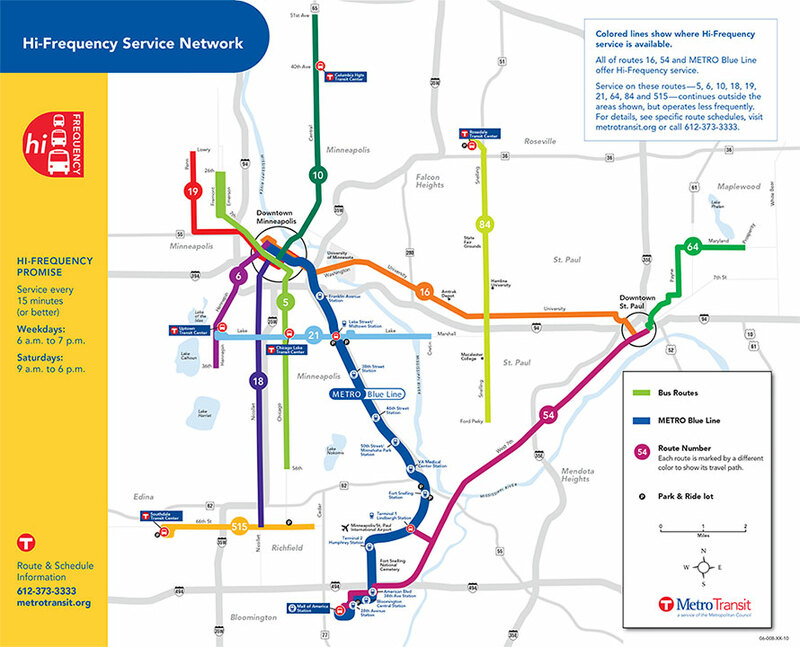 The primary form of transit in Minneapolis is MetroTransit which offers both bus and light rail routes. Bus routes typically cover the central area of the city, while light rail is more useful for traveling a bit further such as to St Paul or the Mall of America. 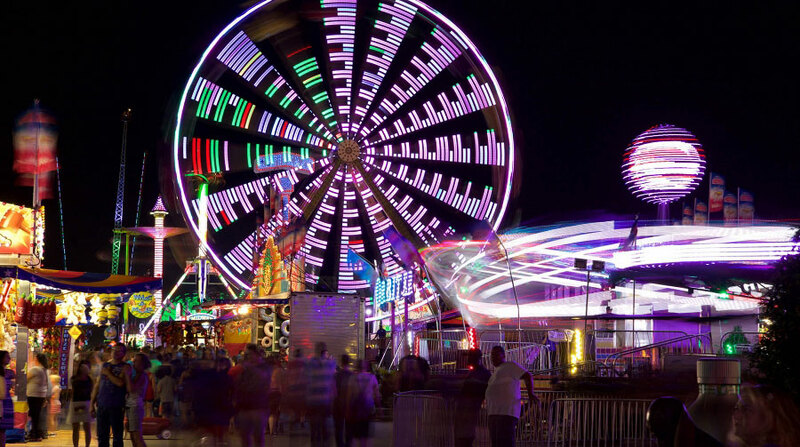 Overall, these services are pretty great during peak hours with consistent and reliable routes, but it can be difficult to find a good ride for late-night transportation. Minneapolis has a phenomenal bike score of 81. In fact, it’s the only US city on the world’s bike-friendly list, which is a pretty big deal. It’s so easy to bike around Minneapolis, according to census data, a whopping 4.1% of residents bike as a primary means of transportation. There’s also this neat Cyclepath tool to help you plan your route. Amongst the city’s many artists, biking has become the go-to affordable transportation option. Along with knowing how to navigate the city, you should also get to know which areas are safe. So, there’s no good way to sugarcoat it, but NeighborhoodScout has given Minneapolis a crime score of 5 out of 100. The lower the score, the worse in terms of crime. But keep in mind virtually none of the crime in the city is violent and the city makes it easy for you to track crime stats. Still, even though the number of incidents may be high, so is the population. Basically, high crime rates don’t mean imminent danger. Most Minneapolis residents find the city pretty safe. Now all that is out of the way, let’s get into the important task of finding a place to live. We combed through 100s of verified customer reviews to find the most trusted and reputable long distance movers. 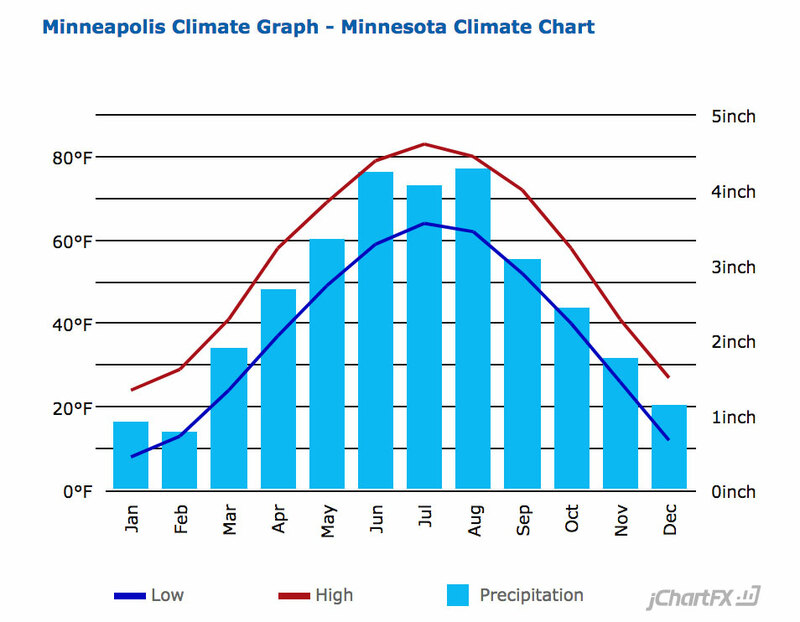 As you’re probably aware, Minnesota has some legendarily harsh winters. Seeing as you’ll be in for at least five months of sub-freezing temperatures, you’ll absolutely need a heated apartment with solid insulation. You should also take the area’s weather into account when estimating your monthly utilities cost so that you can accurately budget for an apartment. And even though the city’s fairly walkable, you’ll probably still want a place with a washer/dryer so you don’t end up lugging your laundry across town in a snowstorm. Searching for a good place to live is tricky. To make things a bit less stressful, we’ve collected all the best resources for searching for apartments with options to limit your search to the exact specifications you want. And, though it might seem a little sketchy, we highly recommend checking Craigslist to find apartment and house listings for cheaper prices than you’ll see listed elsewhere. Note: This DOES NOT mean you should trust Craigslist implicitly. Here’s their own guide on how to recognize potential scammers. In Minneapolis, it’s currently a landlord’s market, but things are (slowly) improving. Throughout the first few months of 2018, the average rent in Minneapolis has increased by 2.48%, which isn’t too much worse than the 0.4% decrease of the national average. Unfortunately, Minneapolis’s vacancy rate isnt as promising, sitting below 4%. Though there are a large number of new developments, there still might not be enough to fill demand. Bottom line: finding a great a apartment ain’t gunna be easy. With a market this competitive, it’s important to know what your rights as a renter are in order to avoid being bamboozled by a shady landlord. 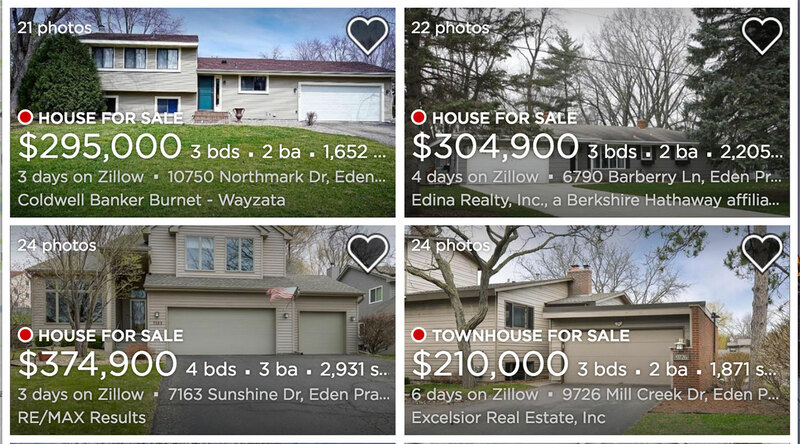 Or, if you’re looking to buy, Minneapolis has plenty of great suburbs to offer. Though Minneapolis may be a fairly large metropolitan hub, it’s still awash with plenty of extremely nice Midwestern suburbs. Minneapolis’s Average Home Value, as of April 2017, is $231,700. This is an 8.4% increase over the previous year. Home prices are expected to rise 3% in the next year, so you should definitely be looking for the best deal you can find. Eden Prairie is one of the most full-featured suburbs in the Twin Cities area, offering tons of local businesses, parks, and excellent schools, all witin a farily average price-range. Minnetonka, on the other hand, offers some pricier homes but makes up for it with a short commute, great nightlife, and proximity to aquatic adventure at Lake Minnetonka. Use our moving cost calculator to estimate your moving costs to Minneapolis. Also, if you are coming from out of state, be sure to have a look at our out of state moving guide for more info and tips. And if you’re moving somewhere that requires you to park on public property to unload your stuff, you’ll probably need a permit. Passes will cost you $0.50 – $1/ft/day depending on where in the city you’re parking. Here’s the link to apply for a Minneapolis parking pass. Before you get too settled in, make sure to take care of these last few logistical details to make sure you’re fully established as a Minneapolis resident. Voter Registration: Guys, this is really important! Voting is the best way for you to have an impact in your community. Here’s how to register to vote in Minneapolis. Driver’s License: You’ll also want to update your ID with your new address. This is where to go to get your Minnesota driver’s license. Out-of-State Vehicle Registration: In a similar vain, if you’re bringing a car with you when you move, you’ll need to get Minnesota plates. Trash & Recycling: This is easy to forget about, but you absolutely need to find out how to set up waste management in Minneapolis. Meet People, Make New Friends: One of the most difficult parts of moving is making new connections, but there are resources out there to at least steer you in the right direction. Meetup is a great place to connect with people who share similar interests and r/Minneapolis is a solid way to keep up with events happening around town. The best first stop to get an idea of what exactly a city has to offer is the Minneapolis Things to Do page on the city’s official travel site. Then, if you’re looking for something more specific like, say, where to find a good beer or cocktail, we recommend reading some of the Minneapolis best bars lists. And nature-lovers will be delighted to find out that Twin City parks are rated among some of the best in the nation!